The KS series gabion mesh machines include four main standard parts: Main netting machine, Winding machine, Wire tension device and Spiral coiling machine, it can produce gabions of various widths and mesh sizes. 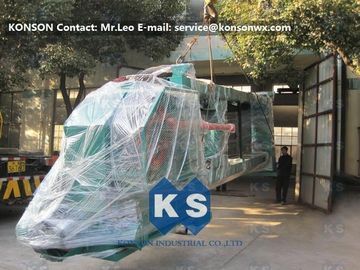 KS series wire mesh machine is only for export, we exported our equipments to Russia, Turkey, Poland, Croatia, Bulgaria, Algeria, Morocco, Ethiopia and etc. Your any enquiry will be replied within 12 hours. We can also manufacture special size machine according to customer request.